A long-distance flight can be an exhausting physical ordeal. You are crammed into a noisy tube of flying metal surrounded by strangers, breathing recycled air with your knees pressed up against the seat in front of you. After snacking on airline food and packaged nuts you try to sleep, but your confused and jet lagged body has no idea what time it is. You arrive at your destination sleep deprived, dehydrated and bewildered – not a great start to your travels. So how can you make long-distance flying less of a terrible experience? There are a few things you can do to make this ordeal more enjoyable. These days you are usually given a chance to select your seat when you are booking online, so make sure you choose carefully. On a long haul flight you will want to have the aisle seat, because it is a pain to have to wake up your seatmate when you are dying to use the bathroom. 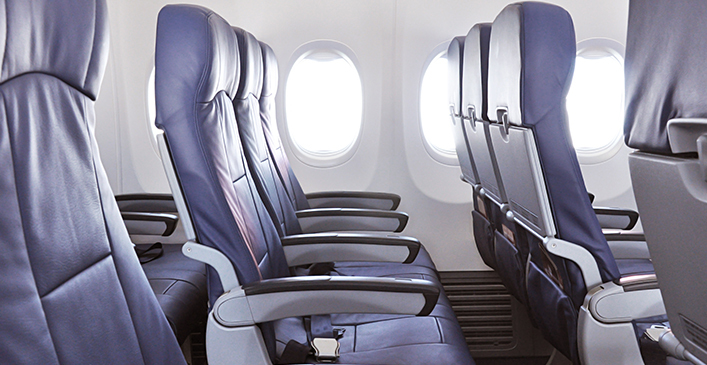 If you are on an airplane with three rows, the best option is one of the aisle seats in the middle section. This seat will give you easy access to the bathroom, while also giving the people in the middle seats another option for getting to the aisle so that they will not necessarily ask you to move. Another strategy is to book seats in the bulkhead or emergency-exit row, as they will offer more legroom. What Are the Best Resorts for Families?